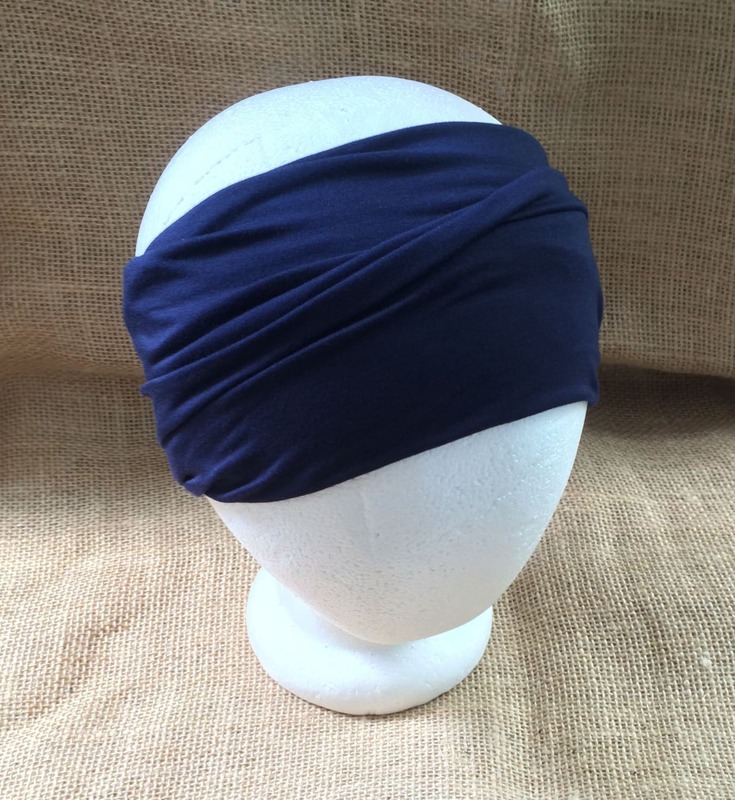 Headband Non Slip Navy Bamboo Yoga Headband, Fitness Headband, Short Hair Headgear is a wide headband that is eco friendly and comfy soft! Navy bamboo is a new color requested by my bamboo loving customers. Short or long hair, men or women, it all looks good and feels good too. Bamboo is moisture wicking and breathable. 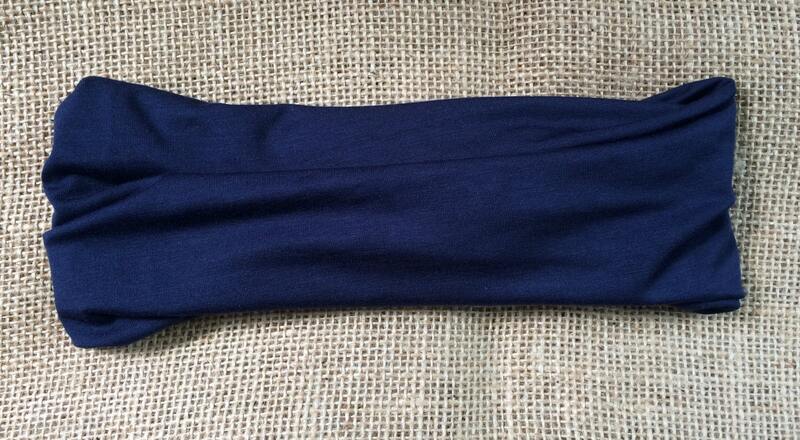 This headband is made with a single layer and raw edge for no seam irritation. 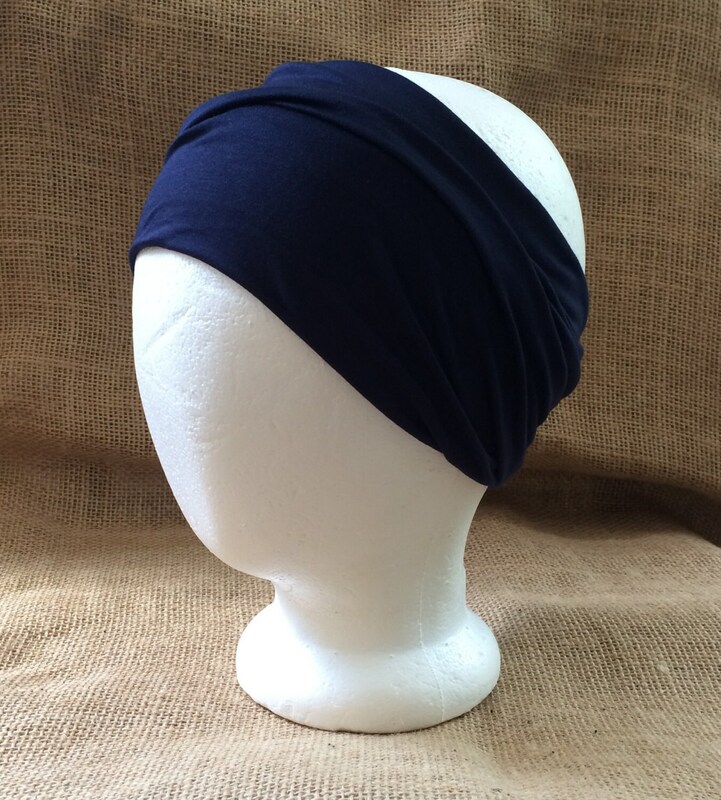 Headband is one size fits most and is a stretchy 20 inches by 12 inches wide, cut bigger than most so it doesn't squeeze your head. Custom sizes are available for the same price as a listing. For a custom size, click on the request custom button. Such lovely soft fabric and very comfortable. Great for outdoor activities and yoga class! Thank you so much!